"The Burns Supper" is a traditional Scottish ceremony in memory of the Scottish poet Robert Burns that takes place every year on his birthday. He was born in January Protected content died in July Protected content . 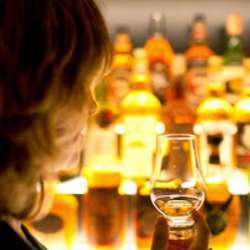 Mark Chesterfield of The Whiskey Experience accompanies you into the evening and presents an exclusive selection of Scottish single malts. The special guest on this evening will be the Scot Robin Laing, who will tell and sing stories from ancient Scotland. Robin is also a connoisseur of Scotch whiskey and a judge on the board of the Scotch Malt Whiskey Society in Edinburgh. We will serve you a 4-course menu with original haggis, a whisky tasting live music, bagpipes, poetry and informal speeches. Mark Chesterfield will announce the evening's procession and guide you through the ceremony. Dress up your kilts and prepare for a beautiful, traditional and authentic evening of Scottish culture. Look forward to an entertaining evening!